Sometimes I will see something while I am browsing the aisles and I will get a creative thought across my mind. While at Target and really having no reason to be in the Halloween Aisle and found a bag of pumpkin shaped pretzels. While they would be delicious on their own in a snack bag, I had to add chocolate to the equation. Chocolate and Halloween do go well together right? I also picked up a bag of orange chocolate discs, do you see where I am going with this yet? Working pretty quickly and in batches, decorate the insides of the pumpkin with all sorts of sprinkles and googly eyes. Hey its Halloween anything goes right? One trick I found is right after filling the pumpkin pretzels with chocolate, tap the cookie sheet to even out the chocolate. It makes for a more uniform and flat surface to work with. When done, just place the cookie sheet in the fridge for a few minutes until the chocolate hardens. Simple right? The hardest part is getting the sprinkles in the pretzels, I used a tweezers. You can serve them up in a bowl at a party. Better yet, make little party favors by filling a bunch in Halloween Themed cupcake holder and then wrapping with a cellophane bag. 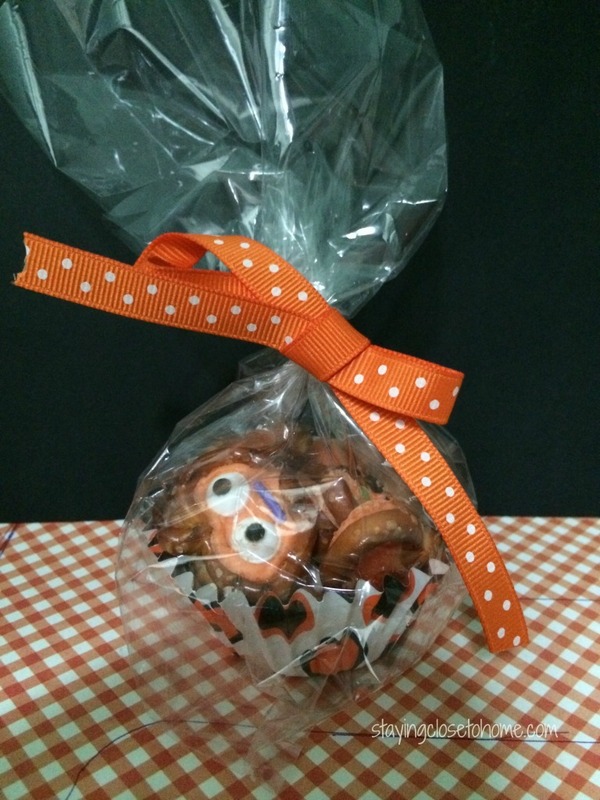 A little orange ribbon and you are sure to please your Halloween Party guests. What do you think about these Halloween treats? 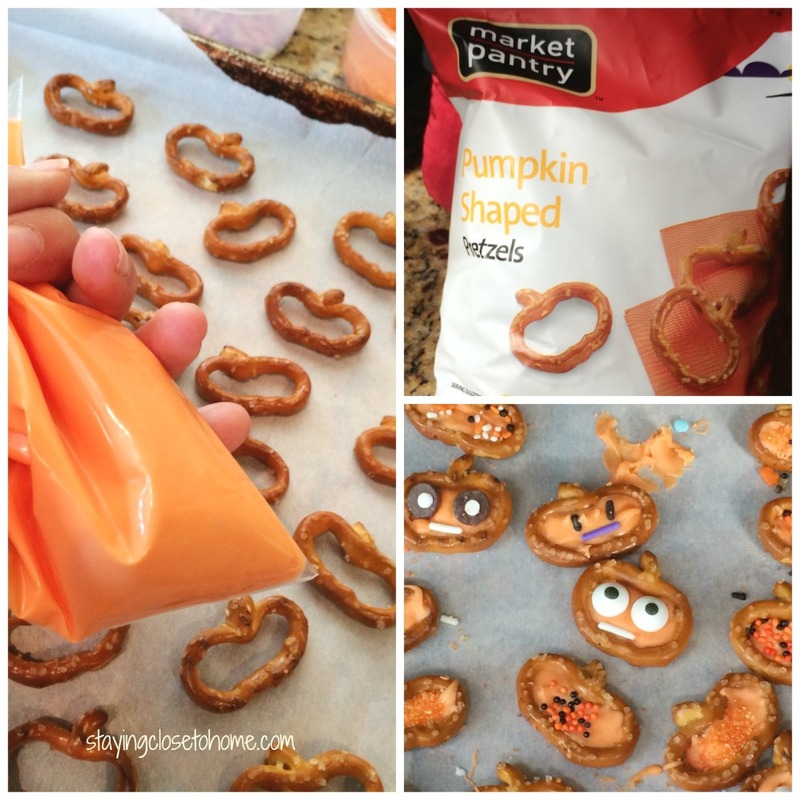 I have to do this with my kids, such a creative and yummy sounding idea! Thanks! These are just too cute! My two nieces and my nephew would love these. Thanks for sharing this creative idea! Those look like the best finger food and delicately designed. They must have been labor intensive. Kudos! These are too cute!! What a clever idea! Oh how stinking cute. I think I am making these for my daughters party. They look so yummy and fun to make! These look so fun! The kids are going to love making them! These treats are a good idea for people who celebrate Halloween. What a fun treat. I think the kids would love this. Perfect for Halloween. Now those are just too cute, and look super easy to make. They would be perfect for our Halloween party. I absolutely love this idea. The ones with eyes are my favorite. Those are too cute! I’ve never seen these before. These are SO cute! And I bet they are yummy too! These are almost too cute to eat! They look fun to make too! That is a reaaaaly cool gift idea. They turned out so well too! 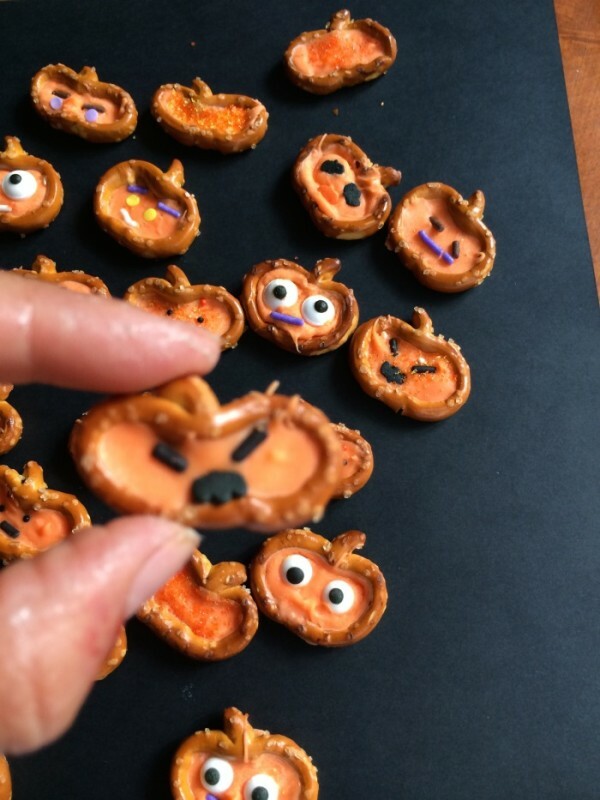 These little pumpkins are so cute and easy to make! My kids would love to snack on these! Thanks for making them to show us! Okay, those are totally adorable! 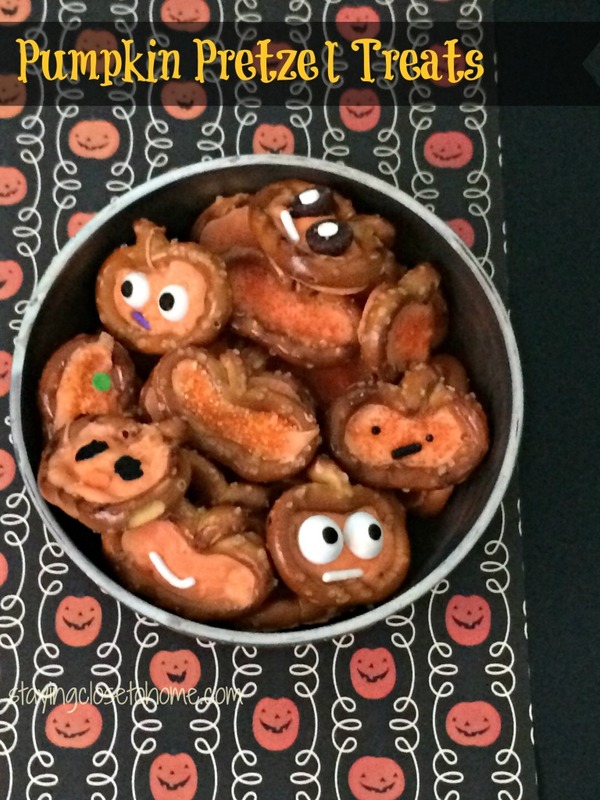 First of all, whoever thought of pumpkin shaped pretzels is a genius – and so are you for adding chocolate to it! SUPER fun idea. My boys would get a huge kick out of those.